Unfortunately extremely hot weather is now becoming very common, and our horses and other animals need special care to cope with these challenging conditions. Ensuring horses are well hydrated is at the top of the list, which means they must have access to good quality water, in containers which encourage them to drink, adequate provision of salt and electrolytes and protection from the sun. A horse needs to consume 10% of its bodyweight daily in hot weather to maintain optimum hydration. So for an average sized horse (500 kg) that is 50 litres! A handy check for hydration level is to pick up some skin between thumb and fore finger in the middle of the neck and let it go straight away, if it stays standing up then the horse is dehydrated. Also get to know your own horses’ drinking and sweating profiles so that you can quickly recognize if they are below par. Troughs and water containers should be kept scrubbed out regularly so that the water in them is kept invitingly clean. Horses will often not drink enough water for reasons other than lack of cleanliness. The main culprits are automatic waterers in stables and yards and water in plastic buckets, especially small ones. Horses drink better if containers are large, and this also helps to keep the water cool in hot weather. Concrete troughs or old bath tubs or laundry tubs make good water containers. It is important to realise that plastic is not inert. Test this by filling a plastic container with water and leaving it all day in the sun, it will taste of plastic in that time. Mains or town water can be made more palatable to horses and increase their consumption by the addition of dolomite, bentonite or zeolite at the rate of 1 tablespoon to 20 litres. These clays will filter out much of the fluoride and chlorine. Horses usually love dam water, because it contains minerals in their natural form, but during drought times, when dam levels are getting very low, horses and other stock should not be allowed to drink from them, as not only will the water be dirty or contaminated, it could be highly acid or highly alkaline, both dangerous. Dehydration is a common problem in performance horses. 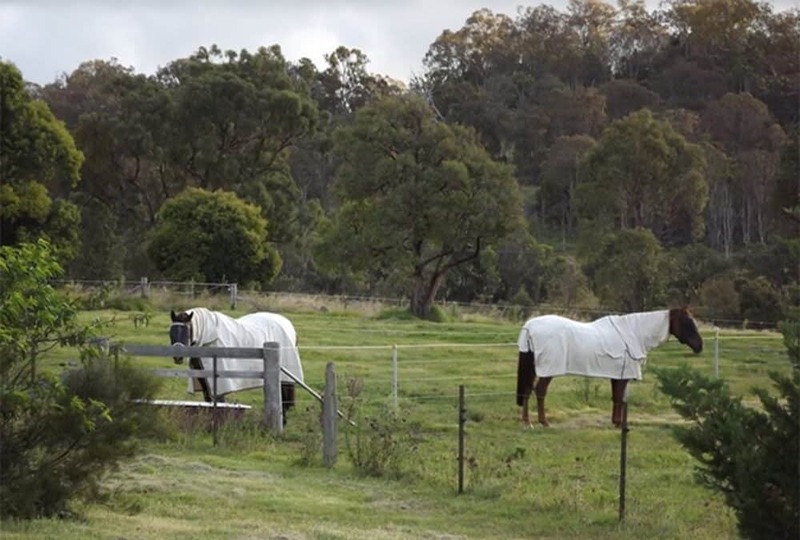 In extreme weather conditions horses just standing around in paddocks, yards or stables, can easily become dehydrated. They need access to shade as well as protection from the sun with white cotton combos. 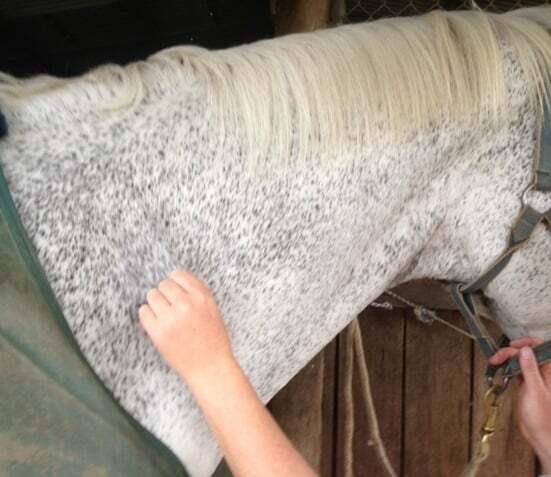 Even though horses have a great ability to sweat and therefore dump heat, there is a limit. In hot and humid conditions the effectiveness of their cooling mechanism is taxed to the highest degree. This is a very serious condition where the horse is unable to sweat normally, which means it is unable to cool its body, maintain hydration or properly excrete metabolic toxins. Characteristically anhydrotic horses will pant like a dog and can become quite distressed. The hair will stand up, the skin will become dry and frequently itchy skin conditions will result. There are degrees of anhydrosis. There are plenty of horses in the more temperate climates who do not sweat freely and who also do not drink enough. These would be prime candidates for full blown puffs if they were to move into hotter and more humid climates. My herbal treatments for this condition work well, as there are lots of herbs which stimulate sweating mechanism, and the sooner treatment commences once a problem is recognised the quicker it will work. Careful attention to diet and training play an essential role in managing the problem. The common practice of giving synthetic electrolytes prevents recovery and worsens the condition. The important minerals in electrolyte balance are sodium, potassium and chloride. Sodium and potassium work in harness. The ratio is essential for hydration balance, kidney health and pH (acid/alkali) balance. The kidneys are responsible for removing wastes from the body via fluids so if there isn’t enough sodium, dehydration will result. If there is too much sodium there will be fluid retention. Sodium in its natural form alkalises and is not retained in body fluids, while common salt (synthetic sodium chloride) produces an acid state with excess being retained in fluids. Feeding common salt is certainly not the way to get these two essential minerals into the horse’s body. 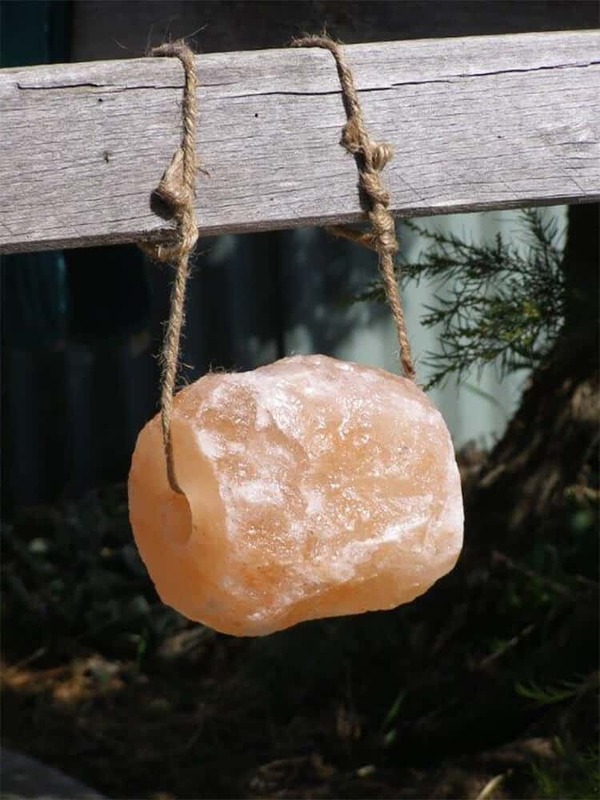 The best way to provide salt to horses is to give them free access to large lumps of Himalayan natural rock salt, which looks like pink quartz. When extra salt is needed, Himalayan rock salt granules and/or Celtic sea salt can be added to the feed. Feeding rate 10 g per day ponies, 20 g average sized horse, 30 g larger horses. Can go higher with in very hot weather especially if they are being worked. Himalayan rock salt contains not only sodium and chloride, but also calcium, magnesium, copper, iron, boron, potassium, zinc, selenium, iodine and a plethora of nano minerals. Apple Cider Vinegar being high in potassium is also ideal to add to water to dampen down feeds along with the salt to give a good basic electrolyte mix. Feeding rate is 15 ml per 100 kg bodyweight, double in summer in hot conditions. The quality of the apple cider vinegar is paramount – we need to look for apple cider vinegar which is “alive”. The proof that it is alive is the presence of the “mother” in the container which is a rather revolting snot like substance floating in the vinegar, this shows the presence of live bacteria still going about their business. This type of apple cider vinegar is made from whole apples and is unpasteurised. As vinegar ages the acidity changes as does the colour of the vinegar. As the stock feed industry is virtually unregulated vendors of apple cider vinegar for livestock including horses can get away with making outrageous claims such as “double strength” “fixed acidity of such and such a %” which are meaningless. These usually contain synthetic acetic acid, so not a real natural product. 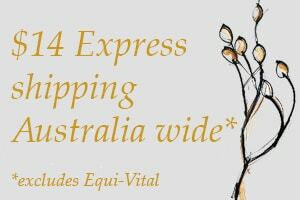 If you are lucky enough to live in an apple growing area then you can buy local otherwise you can purchase the real deal from a health food store, there are good Aussie brands like Spreyton from Tasmania available in bulk. A useful natural electrolyte mix is 10 litres of water with 4 tablespoons of molasses, 250 ml good quality apple cider vinegar, and a tablespoon of Himalayan rock salt granules or Celtic sea salt diluted in it. Molasses is high in calcium and magnesium as well as B group vitamins. I always give my horses a drink of organic molasses after they have been worked, made with 2 tablespoons to 10 litres of water, cool in summer, warm in winter, which helps them to drink when they are out at clinics or competitions. I personally can’t tolerate the heat and where I live in the Northern Tablelands of NSW, when it gets to 30 degrees everyone is gasping. This year we have had weeks of over 30 degrees and this week it is forecast to get to 36 degrees, I hate to think what it will be like out west. At this level of heat I ride at 6 in the morning, when it is still cool, as we are lucky mostly it cools down to around 12 – 15 at night. I won’t be riding at all next week if it doesn’t cool down at night, that is for sure. Clearly if you have a lot of horses to work you can’t do them all very early but you can certainly avoid riding in the middle of the day, and you can ride for shorter times and hose them down thoroughly as soon as they have finished work. To cool a horse quickly you should start at the hind legs at the bottom working forwards under the belly, then the head and finally the top line. Scrape the water out fast, notice how hot it feels, then repeat the water and scrape, this can be done several times if necessary. Don’t forget the molasses drink.